The French Strategic Air Force has successfully conducted a full operational trial of the C135 tanker/ Mirage 2000N fighter/ASMPA stand-off missile operational chain to validate the functionality of a real nuclear deterrence mission. Carried out using a representative training missile and a Mirage 2000N nuclear strike fighter from the French Directorate General of Armaments’ (DGA) missile testing centre at Biscarrosse, the successful trial demonstrated the performance and reliability of the weapon system. The three-hour trial brought together all significant phases of this type of mission, including high-altitude flight, refuelling from a C135FR tanker to increase range, low-altitude penetration flight and terrain-following approach, as well as firing of an ASMPA missile without a nuclear charge onto the target. Both the mission profile and the missile’s trajectory were confirmed by the military and civilian authorities to have complied in all respects with the planned flight profile. "The three-hour trial brought together all significant phases of this type of mission." Also supported by staff and resources of the DGA and MBDA, the test guaranteed the technical and operational credibility of the airborne component of France’s nuclear deterrent, as well as confirming the ability of the strategic air force, which has ensured the nuclear deterrence mission for around 50 years. 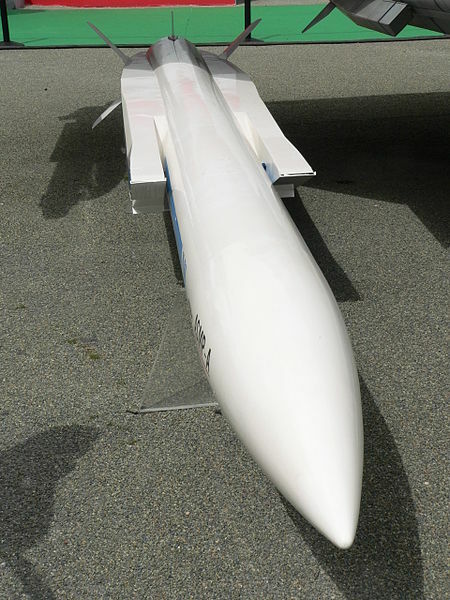 An advanced variant of the Air-Sol Moyenne Portée (ASMP) air to surface missile, ASMPA features an operational range of around 500km at a Mach 3 speed and a new 300k Commissariat à l’Energie Atomique (CEA)-built tête nucléaire aéroportée (TNA) thermonuclear warhead. Powered by a solid fuel motor and a powder booster, the nuclear attack-hardened missile can be fired at various altitudes and flies at supersonic speeds along a trajectory that enable it to evade enemy air defences. The missile entered service with the French Air Force’s Mirage 2000NK3 in October 2009 and with the Rafale fighters in July 2010. Image: A mock-up of the ASMPA enhanced stand-off missile. Photo: courtesy of David.Monniaux.